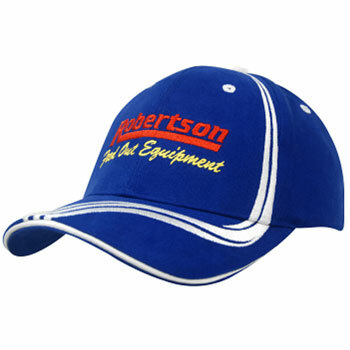 This high quality, brushed heavy cotton cap, is a stylish product with a vibrant waving stripe on the crown and peak. The baseball cap is a 6 panel low profile hat with a pre-curved peak and the size can be adjusted with a fabric covered short touch strap. Please contact us directly to discuss your printing / stitching options and colour requirements. Colour Combinations (Main Colour and Stripe): White & Navy, Royal Blue & white, Black & gold, Red & white, Navy& white, Navy & Gold, Black & White, Black & Red.